Not a “Reversed Map” (where south is up, north is down, east is left and west is right, and all text is oriented to be correctly read with the map in such orientation), but a regular map (where north is up) rotated 180degrees left or right. The convention that North is at the top (and East at the right) on most modern maps was established by the astronomer Ptolemy, and was adopted by other cartographers. 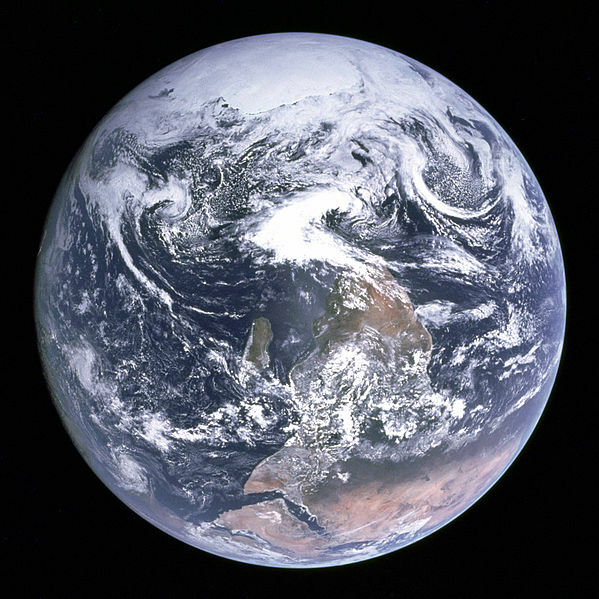 The famous “Blue Marble” photograph of the Earth taken from on board Apollo 17 was originally oriented with the south pole at the top, with the island of Madagascar visible just left of center, and the continent of Africa at its right. However, the image was turned upside-down to fit the traditional view. This entry was posted on August 26, 2013 by rdotmdot in 2D, Free, Item, Reproduce/Similar and tagged 2D, ADAPT, FREE, REPRODUCE/SIMILAR.